The hottest trend this autumn is also the most affordable; it can easily be recreated on a budget. The Rough Luxe effect combines the edginess of Industrial with a touch of luxury. Here we look at 4 easy ways to add this trend into your home. 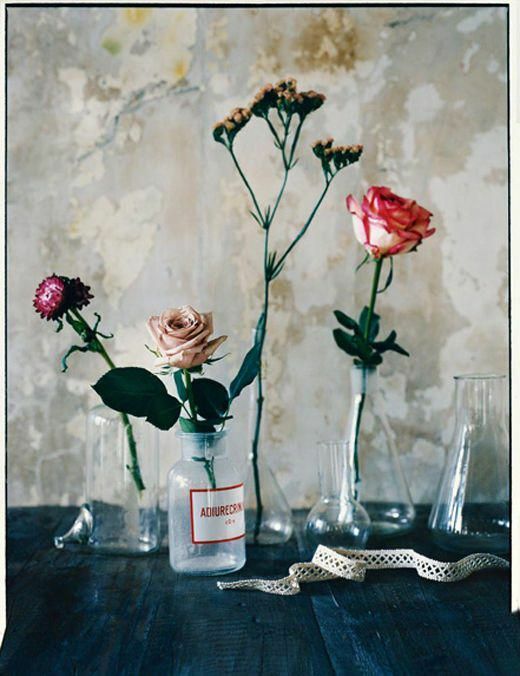 The main element to Rough Luxe is its backdrop, with the Industrial look it was old mills and factories, with Rough Luxe we look at the characteristics of stately homes, palatial buildings and generally grander architect, think faded damask walls, peeling plaster and rough wood. Obviously, we aren’t all fortunate enough to inherit our own ruin. So, there are a few alternatives you can choose from when recreating this look. Trompe l’oeil is an optical illusion technique used by artists creating realistic images with paint, there are various companies that specialise in this technique and apply it to wallpaper. 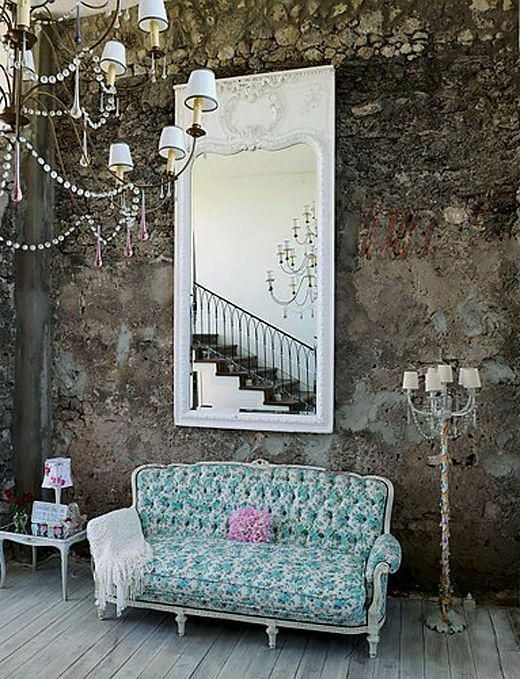 Rebel Walls is a Swedish company that creates wall art, you can choose from a range of surface coverings from concrete, brick and faded styles, our favourite is their vintage paper and the amazingly realistic frontage style that features a faded, cracked plaster façade with sections of exposed brick. 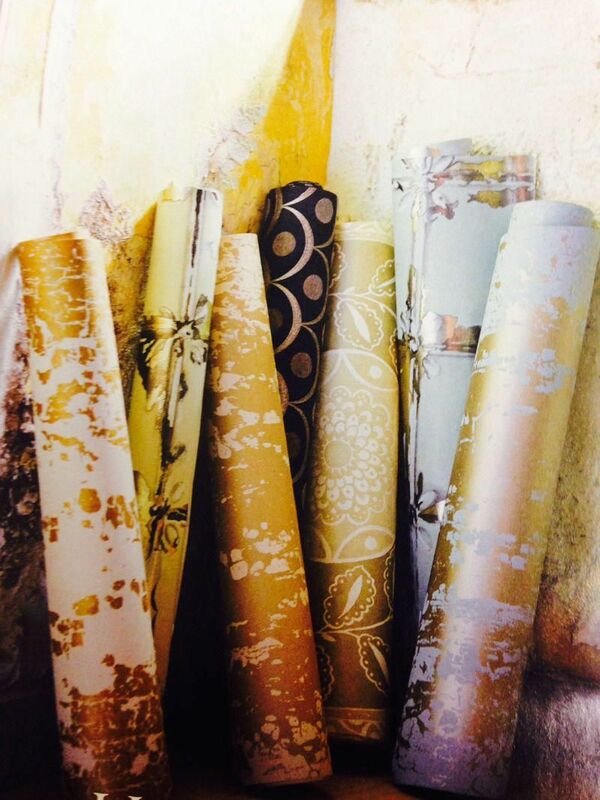 Harlequin Wallpapers also do a new range called the Leonida Collection; the range includes prints such as an antiqued plaster effect print with luxurious gold sections and also a distressed tile effect which we love. 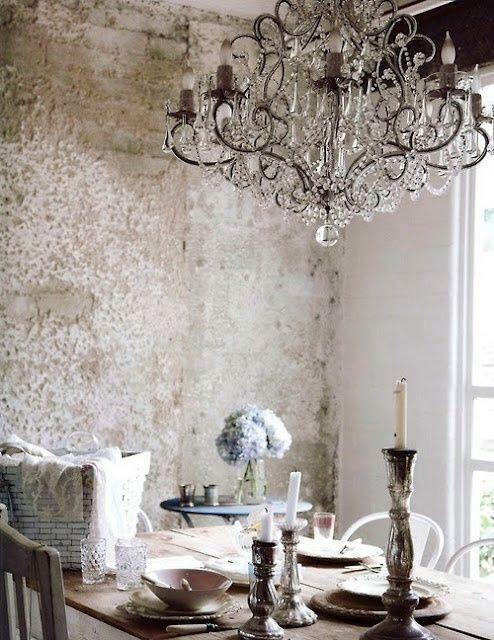 If you do live in an older house and happy to, why not strip back your walls and see what will be revealed, 1930’s and 40’s are a time capsule of décor but even the texture of a little bit of old paint against chipped plaster will do. When it comes to lighting, the best part about the rough luxe trend is that you can go over the top extravagant with crystals and gems, you want to create a contrast against the harshness of the walls so what better way than with a large crystal chandelier or pendant? In-keeping with the antique feel choose brushed and antique finishes such as brass, cream and gold, choose traditional scalloped table lamps to keep with the luxurious element of rough luxe. 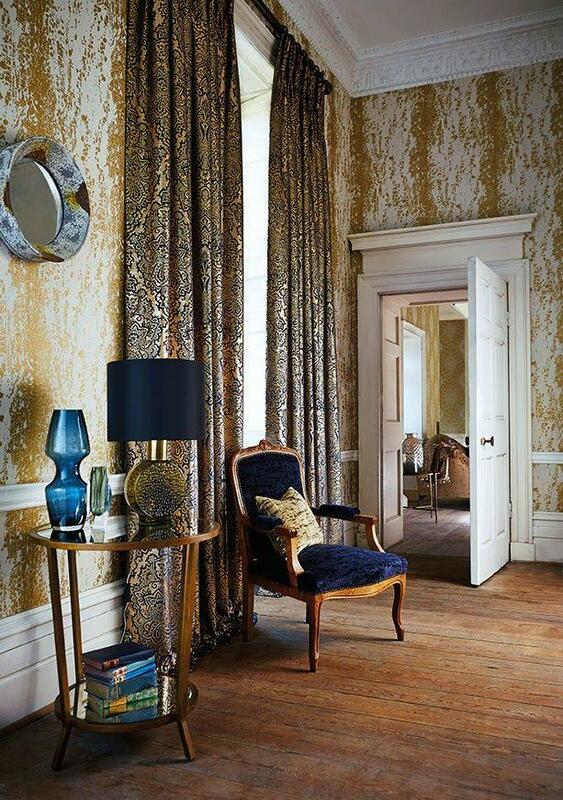 Furniture comes next and it’s all about mixing different textures and prints, lots of antique elegance and luxurious curves. 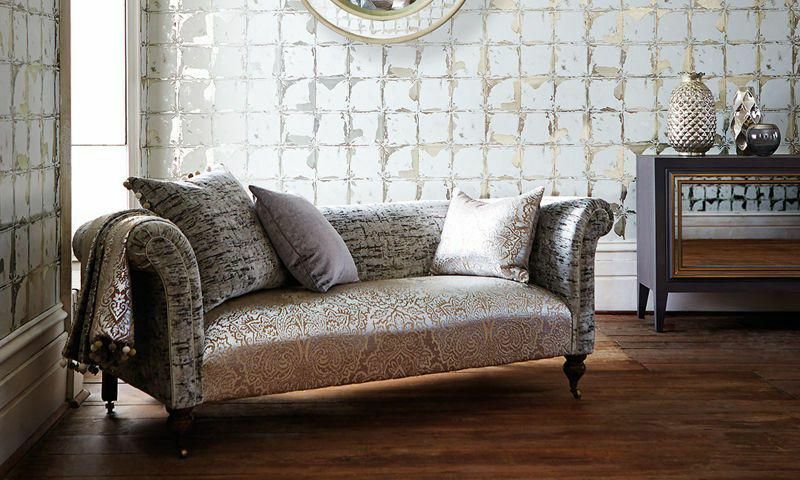 Chaise longue styles and chesterfield seating is ideal as it creates a feeling of opulence. 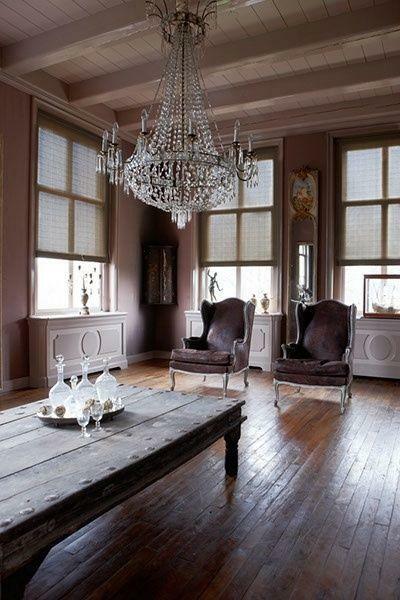 Rococo and baroque style furniture will reinforce a theatrical feeling in the home. Second hand stores and vintage furniture outlets are great for old and eclectic pieces, you can always rough up the edges, sand down surfaces and upholster with vintage fabric to create a more dated look. 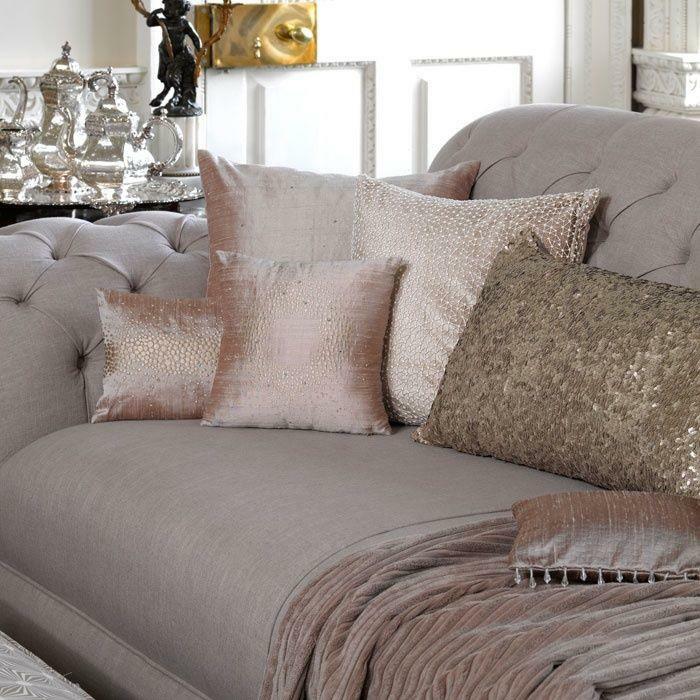 Last but not least are the finishing touches, the Rough Luxe trend can be intensified to the max with luxurious accessories, add sequin cushions for a striking statement, gold leaf rococo mirrors and oriental patterned rugs will bring out the grandeur of a rough luxe interior. 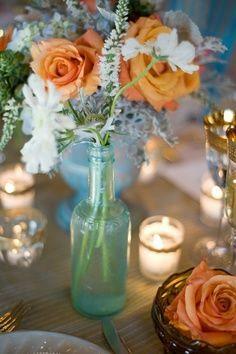 Add vintage perfume bottles and antique decanters too complete the look.